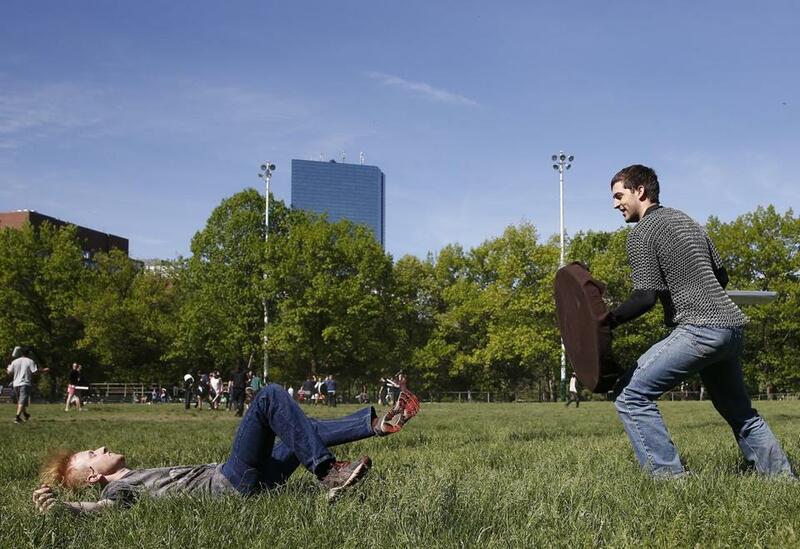 Boston Common was the scene of a medieval melee hosted by Anvard Dagorhir, a fantasy group, Sunday morning. 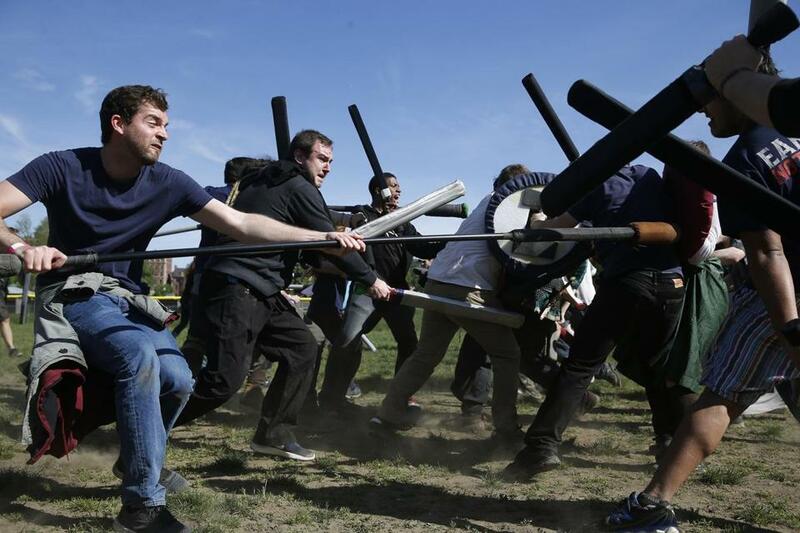 Dog-walkers and joggers at Boston Common had unexpected company Sunday morning: waves of medieval warriors, clad in robes, yelling as they charged each other with foam swords and shields. The battle on the Common marked Dagorhir’s first in Boston, according to Olsen, who said the large turnout means it’s likely to return. Olsen estimated between 120 and 150 participated in the three-hour fight. “There was too much excitement,” said Olsen, who expected between 20 and 40 people to attend. Increased interest on social media forced Olsen to take down the event’s advertisements and get a permit from the city. Dagorhir is full-contact combat: Players are allowed to grapple or wrestle to the ground, and they fight each other with foam swords, shields, and jousts. When one player strikes another in the torso, it’s a death. When they’re hit in the arm or the leg, they’re no longer allowed to use those limbs. Olsen belongs to “Anvard,” a group of about 20 Dagorhir players from Massachusetts and Rhode Island that practices weekly in Attleboro. There are similar clubs throughout New England and the country. On Sunday morning, Anvard regulars and Dagorhir newcomers joined forces on the Common. Phil Wikina, 22, of Milton, had never played before, but he decided to come after he saw the event on Facebook. Rebekah Ferguson, who attends the weekly practices in Attleboro, said the game attracts a diverse group of people. The dog-walkers and other passersby on the Common would occasionally stop and watch. “You’re not going to see this very often,” Olsen said. A fighter fell to the ground during the battle. Dylan McGuinness can be reached at dylan.mcguinness@globe.com. Follow him on Twitter @DylMcGuinness.